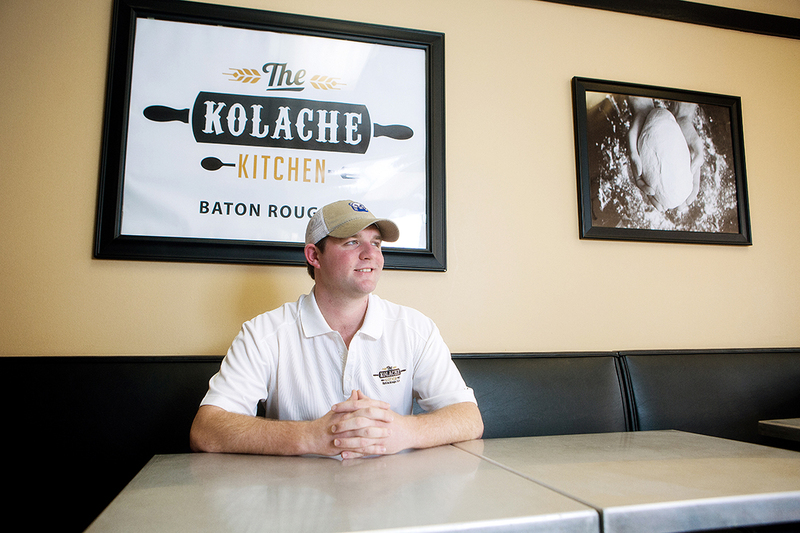 Kolache Kitchen opened its third restaurant today on Freret Street near Loyola and Tulane universities in New Orleans, and plans to continue expanding in the Baton Rouge area. Along with opening, owner Will Edwards revamped Kolache Kitchen’s menu to include healthier options like egg whites, veggies and corn tortillas on breakfast tacos and a wider selection of coffee drinks. He picked the New Orleans spot near the two colleges hoping to capitalize on student traffic like the first Kolache Kitchen on Nicholson Drive. He says that while he’s been working on the new restaurant they have seen a lot of students walking around the area. Edwards plans to retrofit his two Baton Rouge locations with the new menu and facilities upgrades he experimented with in creating the New Orleans location.